You’ve got to treat yourself. Luckily, there’s no better place to treat yourself than in Goshen. Here’s a quick teaser video to whet your appetite. But don’t forget to scroll down to read the full list! For those days when all you need is to be transported into a different world — where Carla Bruni music plays softly in the background and the airs smells sweetly of baking croissants — go to Anna’s Bread for one of her French and Belgian-style pastries. 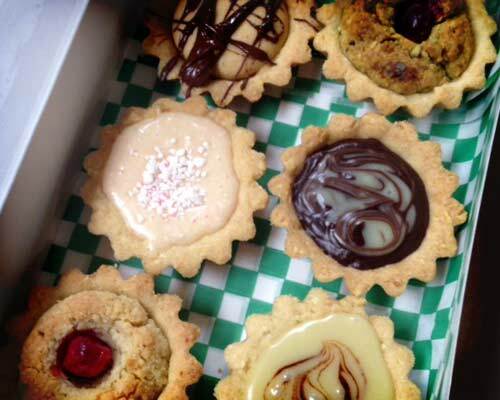 We recommend the mini-tarts. They’re made with flaky pastry crust with decadent toppings like chocolate, mint, pistachio, peanut butter, or fresh fruit. Three words: Oo la la. 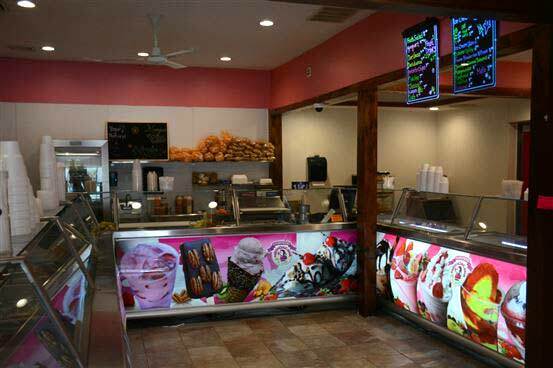 The Nut Shoppe offers a rotating selection of gelato, a delicious Italian ice cream. Every one of The Nut Shoppe’s homemade flavors is worth trying, but one of the more memorable varieties is chocolate ancho chili. Don’t let this sweet-and-spicy combination intimidate you. People have been mixing chocolate with chili peppers for thousands of years. The Mayans and Aztecs believed this combination was the “food of the gods” and a powerful aphrodisiac. Give this flavor a try, it’s sure to invigorate your senses and leave you wanting just one more bite. 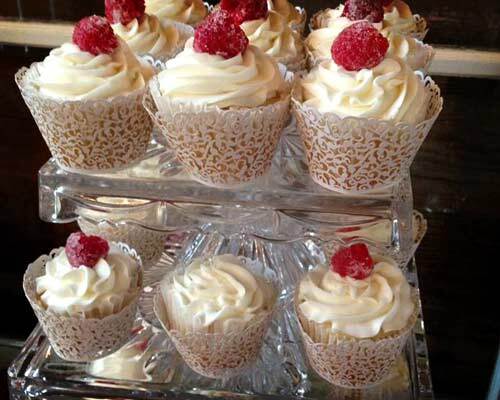 Handcrafted, Locally Sourced … Cake? When you want a dessert that’s rich, complex, and of the highest quality, try Goshen Brewing Co.’s chocolate cardamom cake. The cardamom cream gives the dark chocolate cake a kick, and balances its sweetness. Eating this unusual treat is an experience you’ll not soon forget. 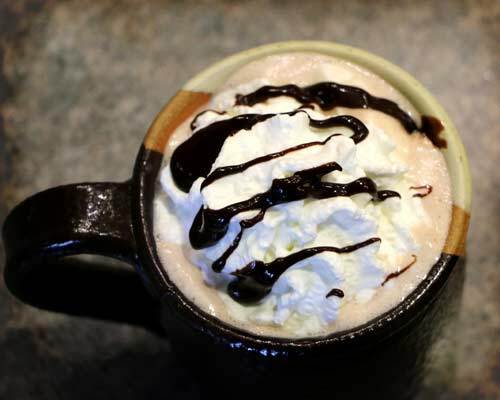 Photo provided: Goshen Brewing Co.
Java Junction is a student-run coffee shop on Goshen College campus with a menu that has been completely developed by student management and employees. If you’re looking for a midday pick-me-up that will bring you back to your sugar-loading, java-powered college days, try Java Junction’s “Cloud 10.” We promise it lives up to its name. 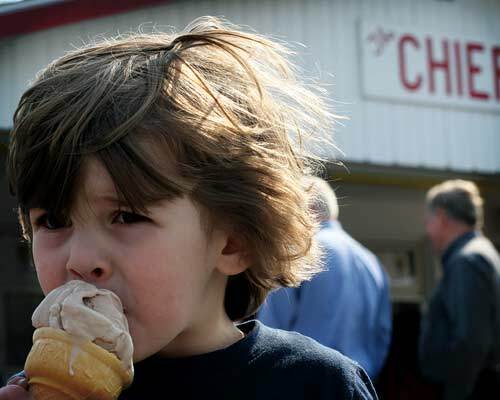 When you drive west on Indiana Avenue between May and September, you’ll almost always see a long line from starting at the window of a small ice cream shop called The Chief. Of course, when it comes to The Chief’s ice cream, no one minds the wait. The Chief’s homemade ice cream flavors — from lemon to peanut butter to blue moon and beyond — are packed with fresh ingredients. So fresh and delightful, in fact, that The Chief’s ice cream was named Indiana’s best ice cream by Visit Indiana. Sweet Em’s crafts such artistic and intricate multi-layered cakes, she’d make the Cake Boss lose his cool. Seriously, take a minute (or an hour, if you’ve got the time) to flip through Em’s Facebook photos. You’ll find yourself lost in a seemingly endless album of the most beautiful cakes you’ve ever seen. The only problem is, if you order one, you may not want to eat it because, well, it’s just too gosh-darn pretty. When you step into Olympia Candy Kitchen, you feel like you’re stepping into the past. The century-old diner has treated patrons (including multiple U.S. presidents) to hand-dipped chocolates, nougats, and candies for more than a hundred years. As the years go by, their delectable bite-size treats just keep getting better and better. 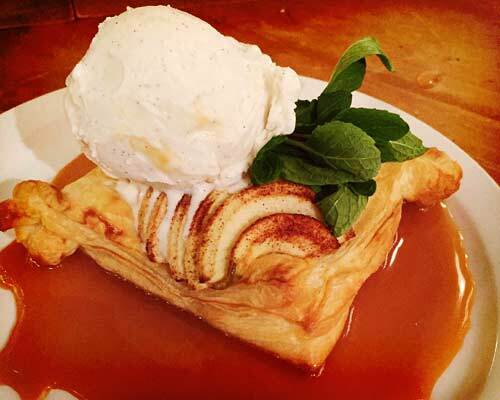 One of Kelly Jae’s signature desserts is the Hot Apple Tart. It’s a warm, crispy, gooey conglomeration of caramel sauce, pastry cream, roasted cinnamon sugar apples, puff pastry, and vanilla gelato. We’ll just be over here drooling. Not only is The Electric Brew Goshen’s favorite gathering space, it’s also a great place to grab a sweet bite to eat. 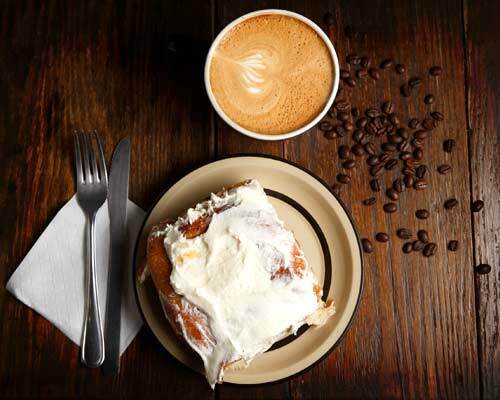 Try the cinnamon roll — it’s big enough for a full meal, sweet enough to quell your cravings, and light and fluffy enough to leave you ready for a refill or two of that famous house-roasted coffee. 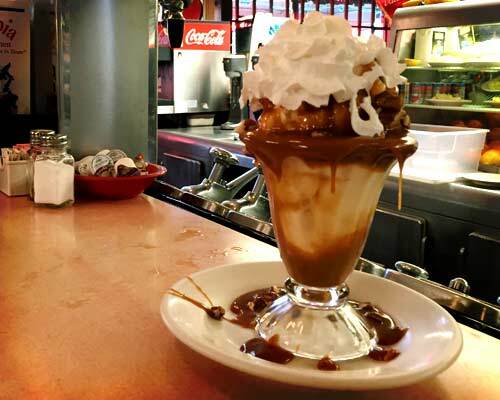 Everything on the menu at South Side Soda Shop has been perfected from the owners’ 30-plus years in the food business. Not only are their recipes fine-tuned, they’re house-made and ever-so-unique (ever tried their turtle soup?). 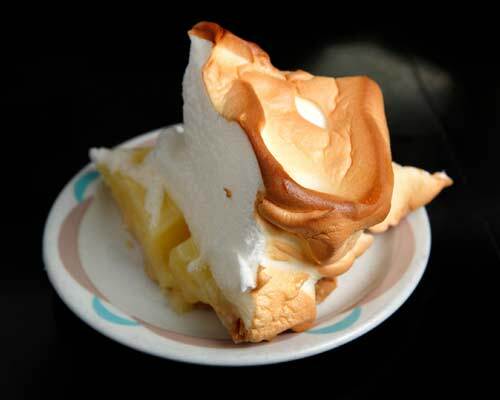 A particular favorite — as seen on the Food Channel’s Diners, Drive-Ins, and Dives — is the soda shop’s lemon meringue pie. It’s a tangy, sweet, and classic take on this Franco-American favorite. If you’ve never tried a Mexican-style sweet bread, you’re in for a (literal) treat. 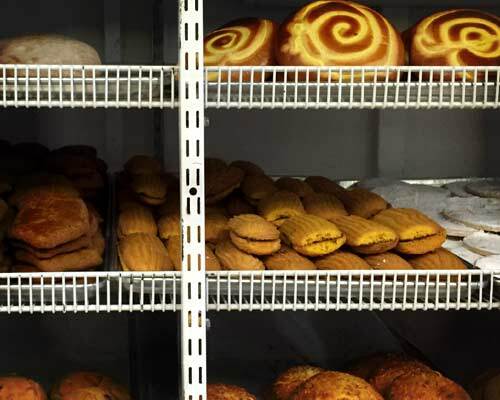 At Gutierrez Bakery, you can choose from a wall of colorful house-baked pastries (or pan dulces). The pastries are flaky, fresh, are mildly sweet — with enough richness and flavor to keep you coming back time and time again. The cozy atmosphere in Dutch Maid Bakery is perfect for a long afternoon of studying, reading, or chatting with friends. Grab a hot cup of coffee with a flaky, sugar-topped pastry, and you’ll be set for the day. Dutch Maid specializes in butter cookies, donuts, pastries, and layered desserts. 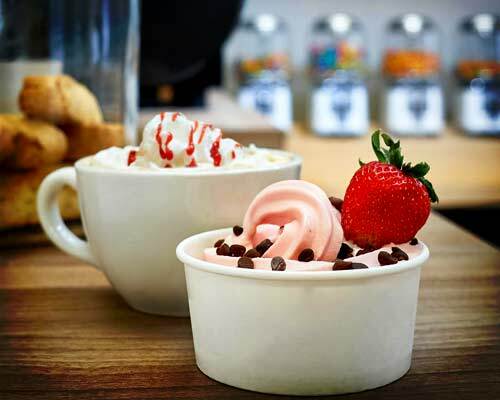 Honey’s Frozen Desserts specializes in frozen yogurt –– but that’s not all they offer. 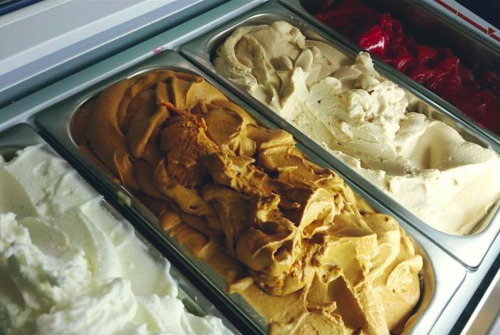 There’s also custard, gelato, specialty coffee, espresso drinks, loose-leaf tea, energy drinks, and more. You can sample frozen yogurt, custard, and gelato flavors — from sea salt caramel to coconut to birthday cake — to make sure you get what you really want out of your snack time. When you’re finished, grab a hot tea to go. La Michoacana has arguably one of the best selections of ice cream flavors in the state (tying, of course, with The Chief). You can choose from classics like vanilla bean and chocolate, go tropical with mango, or daring with watermelon or arroz con leche. Once you’ve gone to La Michoacana, it’ll be tough to turn back to vanilla ever again. You cannot go wrong by eating at Venturi. 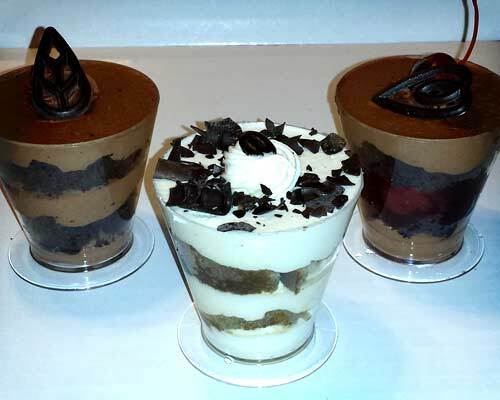 Their nationally famous menu isn’t all they have to brag about — their dessert selection is bellissimo. 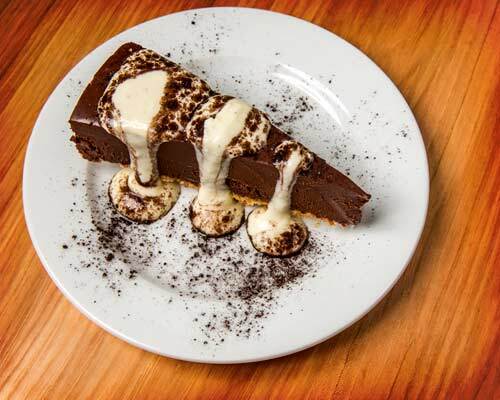 Try their famous Nutella pizza, a chewy crust drizzled with hazelnut chocolate spread. Then there’s the “Pizza Al Giulio,” a mascarpone-filled nutella stuffed crust. 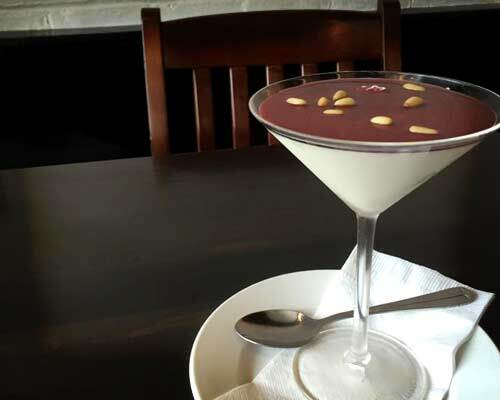 And of course, you must try the panna cotta, an eggless vanilla custard topped with Amerana cherries and served in a martini glass.